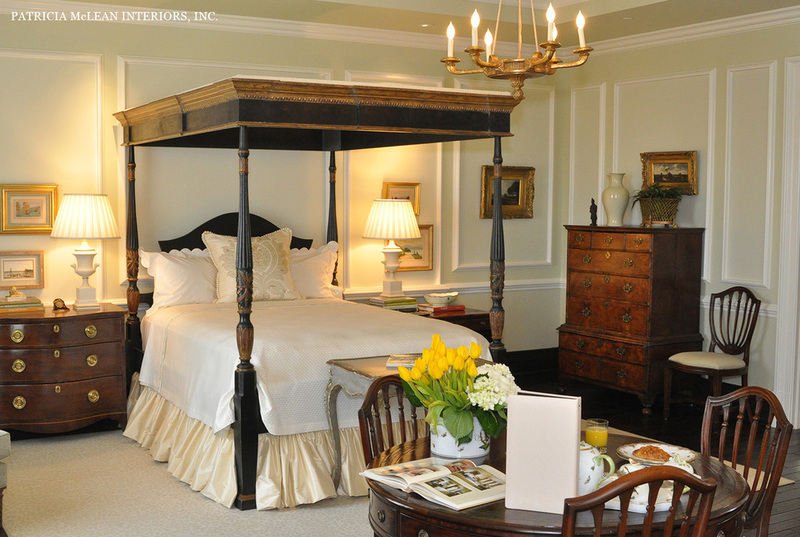 2009 Atlanta Symphony Associates' Decorators' Show House — Patricia McLean Interiors, Inc.
As a designer, this room will always be one of Patricia’s favorites. The excitement of working in the high-rise setting of The St. Regis Atlanta Residences, along with the challenges of the large space, makes it a truly memorable project with its three-sitting room, breakfast room and bedroom. Patricia collaborated with D. Stanley Dixon Architect and Bonner Custom Homes to add custom-milled woodwork, chair rails and panels as an added bonus. Patricia used Schumacher fabrics and trims on all upholstery through out the space. 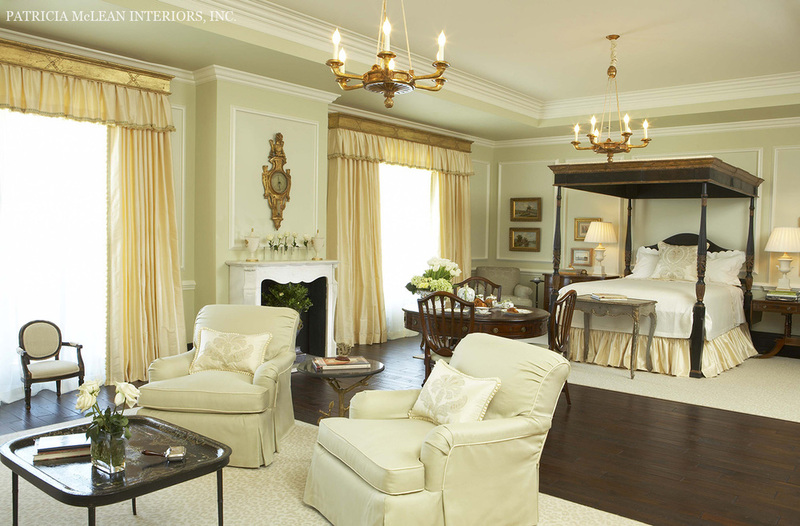 The English, French and Italian antique furniture, with lighting imported from England, are all enhanced with a custom, hand-mixed paint color, "Tricia's Show House Green," available through Sherwin-Williams. To read more about this project, see the article written by Patricia when she was the featured speaker for The Cathedral Antiques Show in Atlanta.